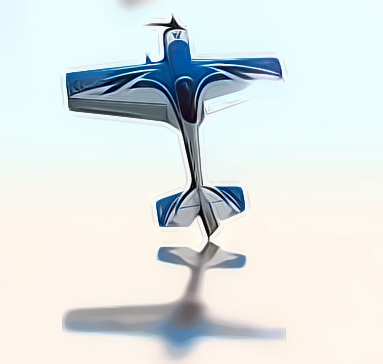 Precision Aerobatics is proud to present the second release in the NEXT Generation PA planes. It all started with the Bandit, and now comes the Katana MX. The Katana MX will do it all … from precision to high energy to graceful slow and low 3d. Built using finest grade material, all cut by state-of-the-art laser and CNC machines and utilizing the very latest FiberFusion® building techniques, the KMX is incredibly lightweight and rigid. Due to the huge control surfaces, featherlike lightweight and the incredibly low wing loading, the KMX is a floater and will respond immediately to your stick inputs. Based on one of Precision Aerobatics’ best sellers, the Katana MD, the Katana MX features a complete new aerodynamic design with new custom made airfoils. The KMX gives you “giant-scale” performance in a convenient and easily transportable package without ever worrying about storage space or vehicle size or having to drive for hours to get to a large enough flying field to fly. Beginner to intermediate to advanced pilots will all find something to love in the Katana MX. Whether you are interested in sport flying or perhaps starting to learn 3D, the ability of this aircraft to fly beyond the stall is amazing. This plane opens up a whole new world of aerobatic maneuvers by combining 3d with precision aerobatics that will ultimately expand your flying skills.